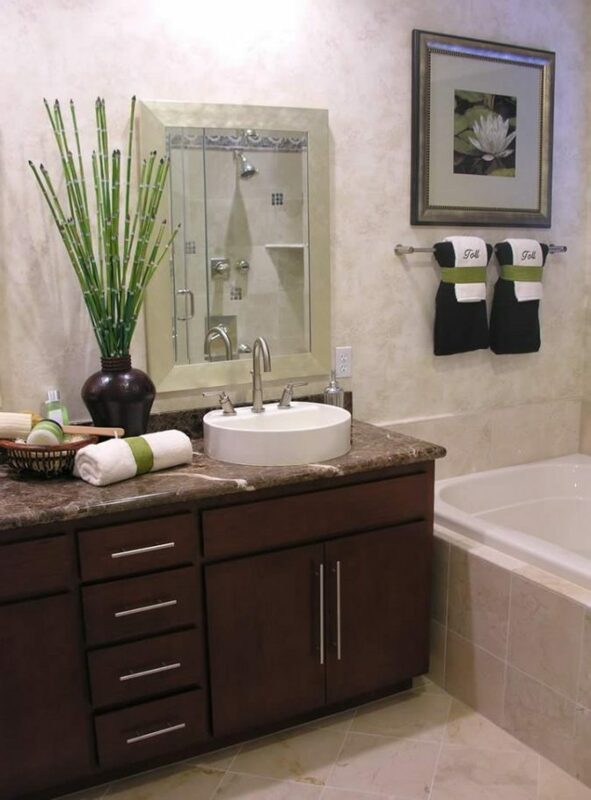 One of the expensive areas to renovate in your house is the bathroom. This stands next only to kitchens. If you are not planning to install a marble tile, or a shower is not on the cards, numerous ways are at your peril where you can give your bathroom a luxurious look without spending too much. The bathroom should be spacious and have a decent amount of space at the same time, and so it can be classified as luxurious. There is more to consider it than square footage, and it can be made luxurious by incorporating strategic features. The bathrooms tend to be on the smaller side, and the presence of windows can hardly be seen, and this could happen due to the privacy reasons, so the views from that place are entirely non-existent. 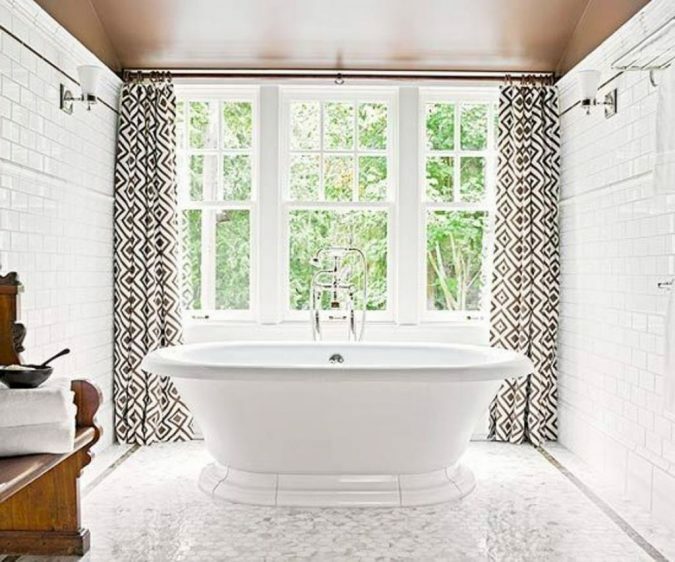 So when you come across a bathroom that has a huge window with beautiful views, it stands out be luxurious on all counts. 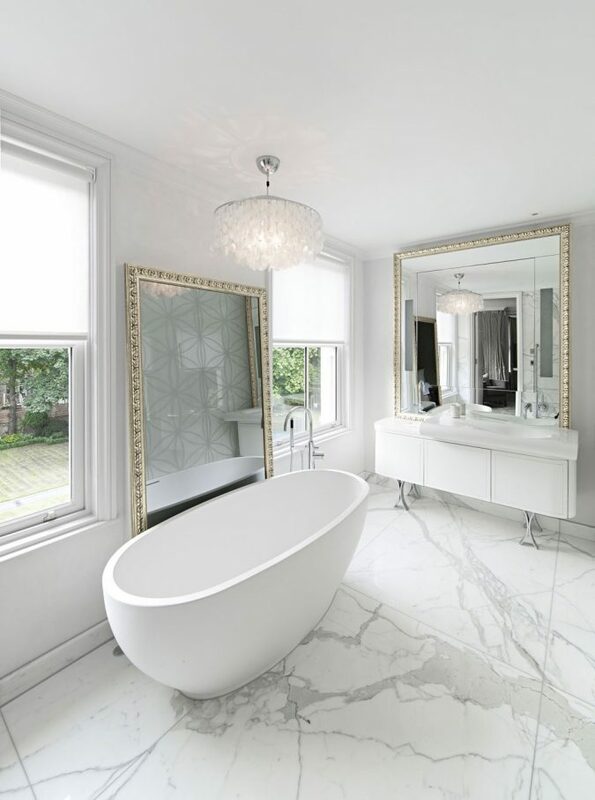 Most of the luxurious bathrooms that one has come across have natural materials on floors, and most often we find that marble is one of them. But this can be conferred as an acquired taste if the marble is considered to be one of them. The textures along with furnishings have an important role to play in formulating a luxurious bathroom. On the other hand, the same look could be brought about by an ornamental finish as well. 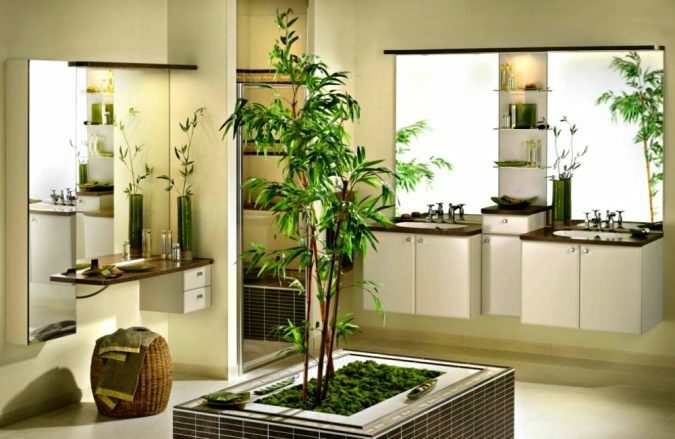 The light also has a major role to play in giving the bathroom that luxurious feeling. 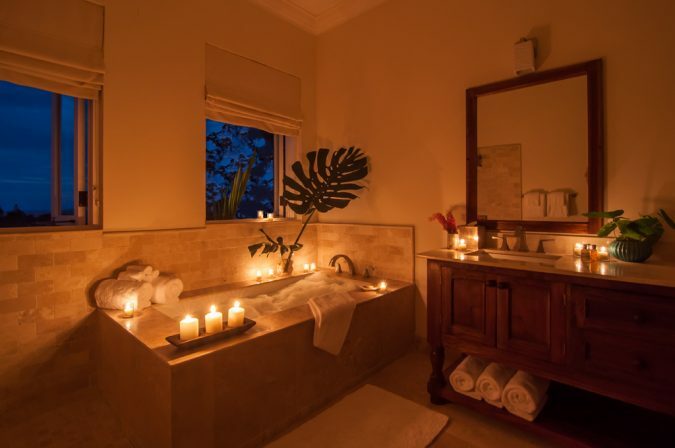 From the lighting point of view, there are a couple of ways in which light can have an impact on the overall ambiance of a bathroom. Say for examples, lots of light in the bathroom can be a major luxury of sorts, or accent lighting used in the room can have the same impact. Luxury shower systems will add a new dimension whereby the light is in full flow. 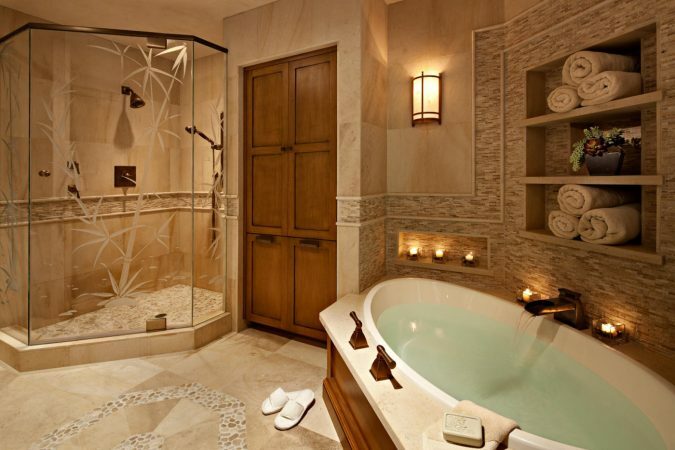 Now let us illustrate the unique ways by which you can develop a luxury hotel bathroom at home. 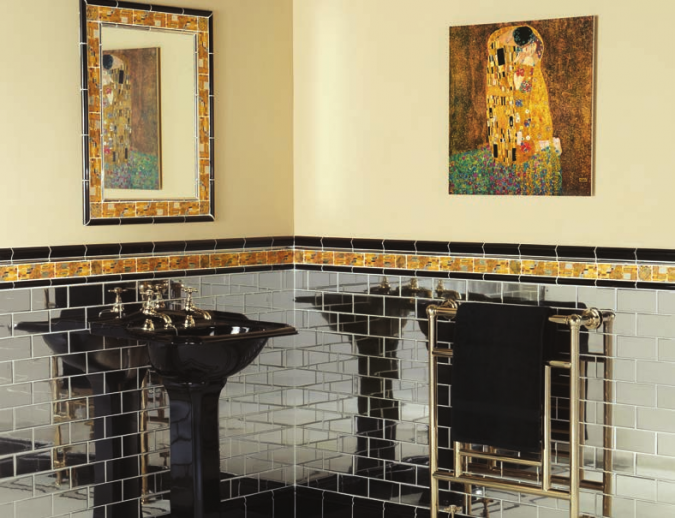 The bathroom should have a posh décor. You can think of the best hotel where you stayed and what the amenities the bathroom had are. 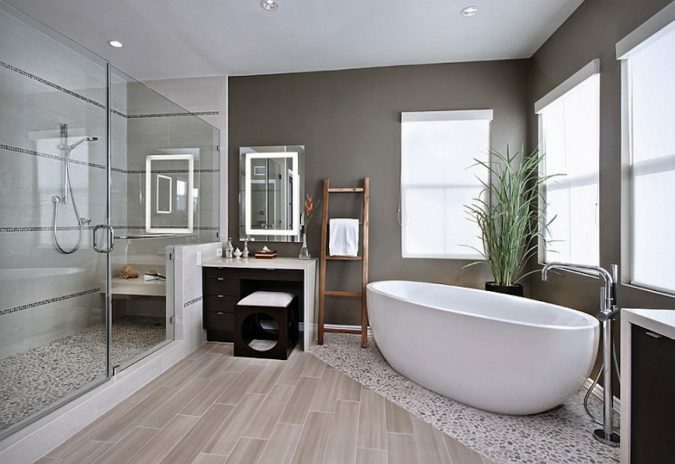 There is bound to be a glass enclosed shower with a strong shower head. The best hotels will also marble flooring with towel racks. Have a bath filled with bubbles, dim the lights and imagine that you are in paradise. Do not forget the” Do not disturb” board on the door. As far as the bathroom floors are concerned, they would need to be impervious to water, hard working and in the midst of all this, they would need to be attractive. 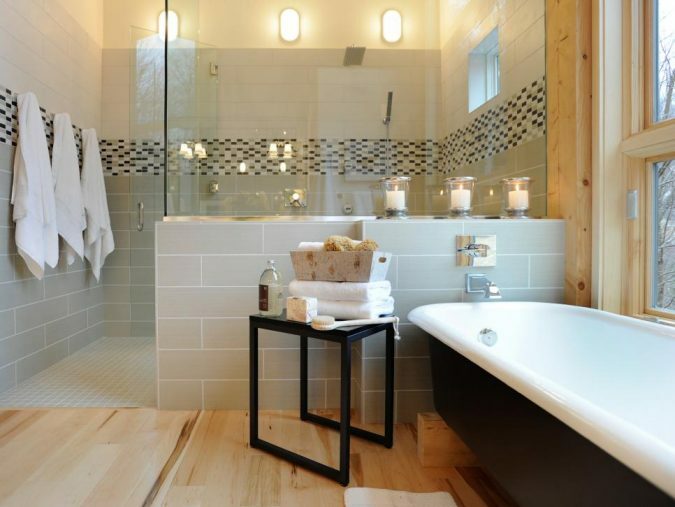 When it comes to luxury, the obvious choices are stone or ceramic tiles. Do not opt for highly polished stone as it works out to be slippery when it becomes wet. For better traction, a honed floor finishing needs to be adopted. The tiles that are designed for the floors work out to be durable and are resistant to any form of wear or tear. Do not select one with slip resistant finish as it’s hard to clean. If you feel that an extra sitting will give your bathroom a new feeling, then please do so. Where else you can sit down to moisturize your skin? In the meantime consider your counter. 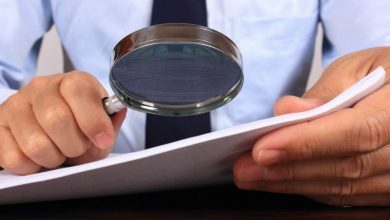 Are all the personal hygiene or beauty products lying scattered? If this is the case, adding a few trays would be the difference between things lying organized and being thrown all over the place. 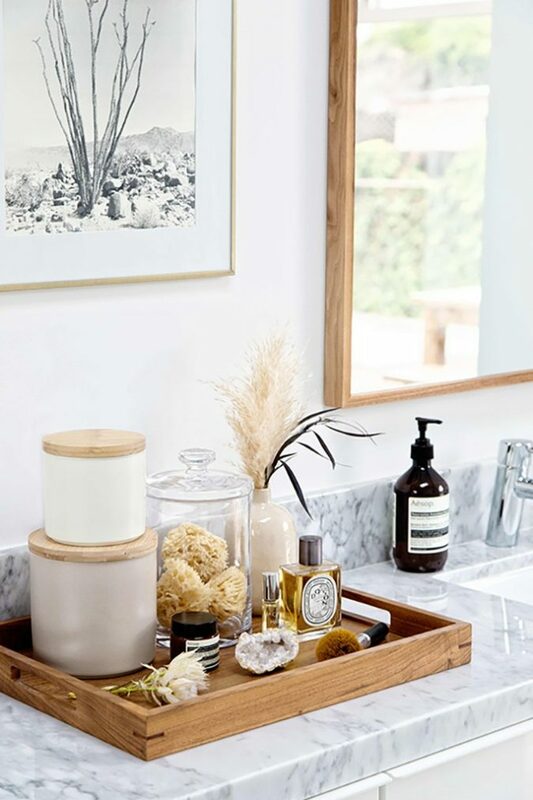 Do not forget the jars as they work out to be the best way of keeping the small things of your bathroom. You would need to think of a candle which is bound to ignite your sense to the core. In fact, they should be lit when you are planning for a bubble bath. If you feel that candles are not your cup of tea, then opt for scented perfumes. There is nothing more perfect than considering a luxurious shower head. 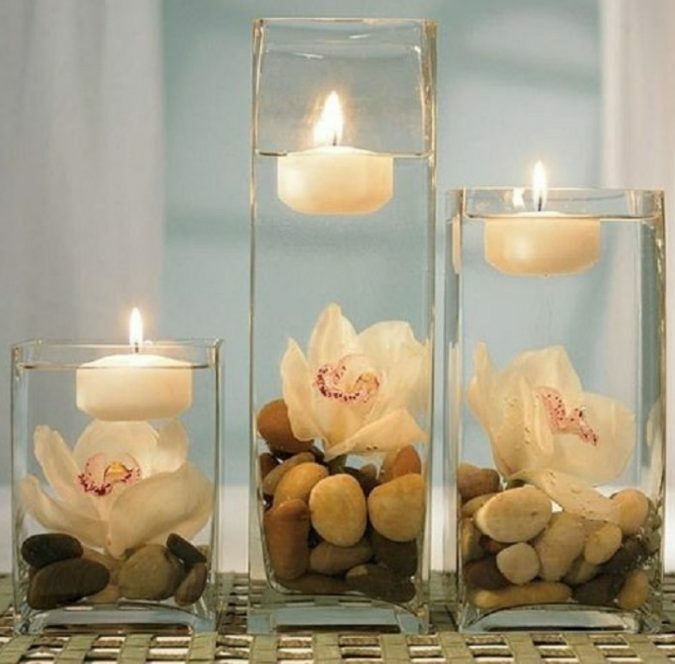 candles are soft tools whereby you can make each occasion something gracious to work upon. 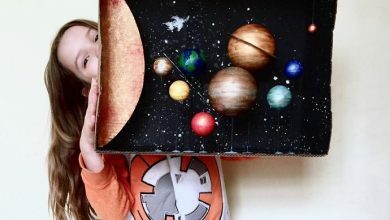 On the other hand, it does not work out to be a significant investment. The cost is on the lesser side for sure. Ideally, the bathroom of your house should not happen to be a plant free zone. Not only the air could be cleared, but they add an aura along with a distinct color and personality to your bathroom as well. 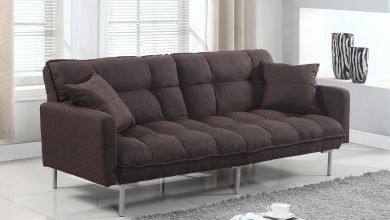 Because of the higher levels of humidity, they are easy to maintain and keep at the same time. If you are not sure of which plants to try then opt for aloe vera and bamboo. 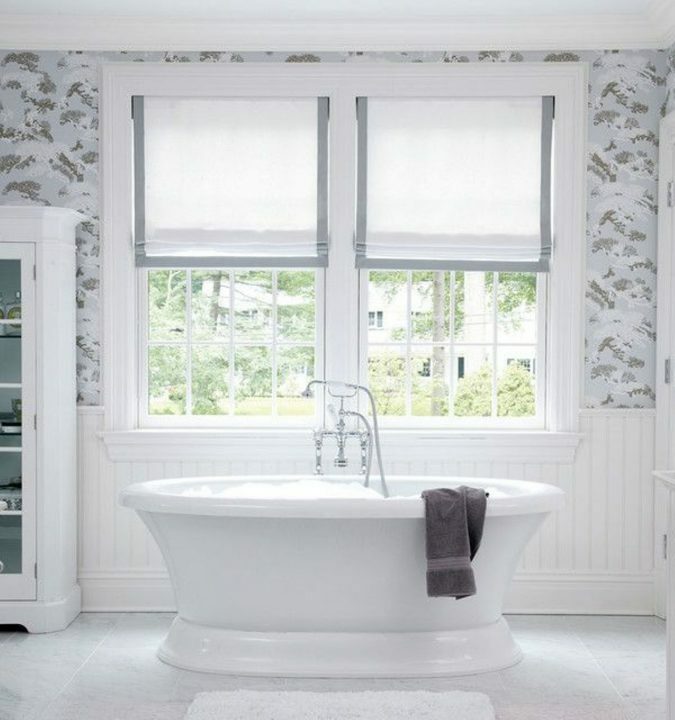 As the bathroom happens to be a hard surface the windows should be addressed with a surface that resists the sound. This will give a luxury feeling, and consider the use of weather acrylic fabrics to give the bathroom the all luxurious feel. It is being designed for odor use and is available in a wide range of quality designs and colors. It is indeed a matter of great concern that people tend to forget adding their personality tag to the bathrooms they use day in or day out. This is alarming that a significant chunk of our day is being spent over there. What can be done is that you can go for adding a large piece of art work which is going to link the whole room together. 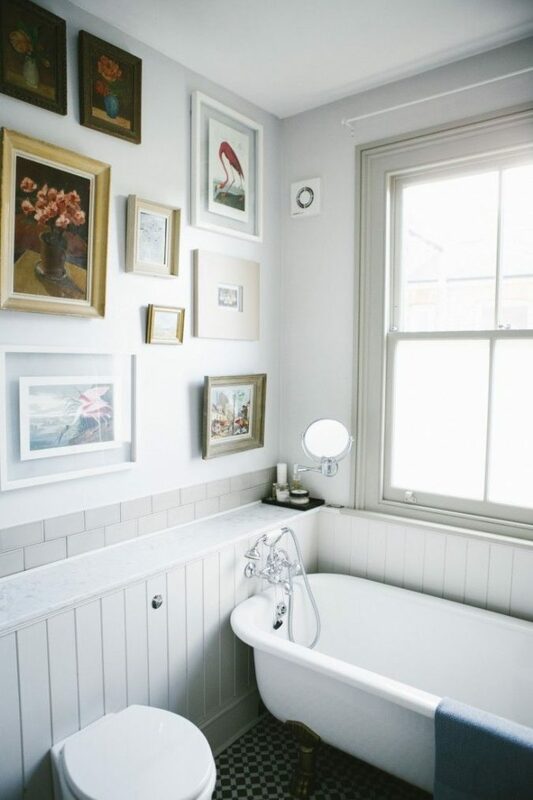 No way you can deny the fact that you would fall in love with a wall full of art works in the bathroom.